The Rohingya crisis continues to remain one of the foremost geopolitical issues in the world. While Myanmar is the immediate State dealing with the crisis, Bangladesh and India too are heavily affected by it. On Tuesday, de facto Myanmar leader Aung San Suu Kyi said that the national government was making "every effort to restore peace and stability" and is interested in conducting a verification process for the Rohingya Muslims forced to flee by army operations. She reached out to the global community in a broad appeal for support over a refugee crisis that the UN has decried as "ethnic cleansing", urging outsiders to help her nation unite across religious and ethnic lines. 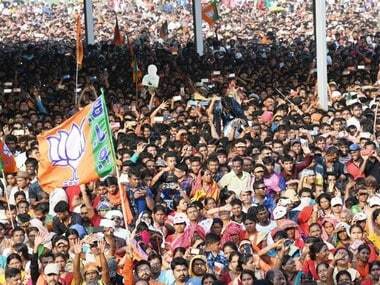 India welcomed Suu Kyi's address and called it encouraging and positive. "It was an encouraging address and contained a very positive message," India's Ambassador to Myanmar Vikram Misri told the media after Suu Kyi's state of the union address on the issue. 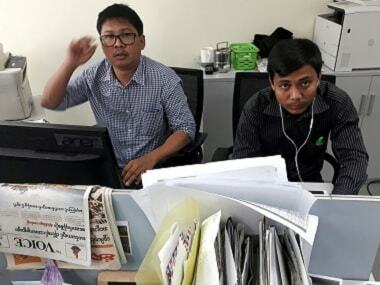 "I think we all appreciate the problems and complex challenges that Myanmar faces," he said. 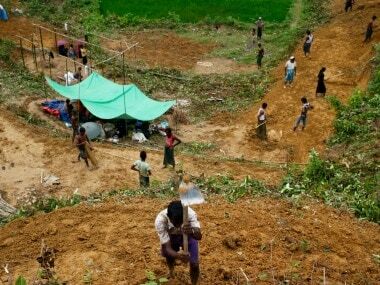 India also told the United Nations Human Rights Council that the situation in Myanmar’s Rakhine state should be handled with “restraint” and focus on the “welfare of the civilian population”, according to The Indian Express. It also praised Bangladesh and said that the “role” being played by Dhaka in extending humanitarian assistance to the refugees “deserves recognition”. While efforts at the highest levels might be being made, the situation on the ground is constantly deteriorating. In what appears to be a systematic purge, the minority ethnic group is, quite literally, being wiped off the map. After a series of attacks by Muslim militants in August, security forces and allied mobs retaliated by burning down thousands of Rohingya homes in the predominantly Buddhist nation. More than 5,00,000 people — roughly half their population — have fled to neighbouring Bangladesh in the past year, most of them in the last three weeks. And they are still leaving, piling into wooden boats that take them to sprawling, monsoon-drenched refugee camps in Bangladesh. Their plight has been decried as ethnic cleansing by UN Secretary-General Antonio Guterres. And despite assurances on Tuesday by Suu Kyi, few believe they will ever be welcomed back. India for its part is hardly welcoming of the Rohingyas. The legal aspect aside, India has security concerns that it has to take care of before it can give the Rohingyas a home. The Indian government has already called the Rohingya refugees "illegal" immigrants, and said that some of them were part of a "sinister" design of Pakistan's ISI and terror groups such as the Islamic State, whose presence in the country will pose a "serious" national security threat. Some members of the government have gone further though, as Union minister Giriraj Singh has said that Pakistan should "take away" Rohingyas as Jaish-e-Mohammad (JeM) chief Masood Azhar "is fond of them". 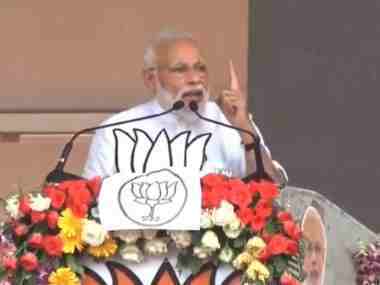 Referring to Pakistan-sponsored terrorism in Kashmir and the continuing infiltration attempts from across the border, Singh said that India does not have the capacity to bear more "infiltrators", therefore the Rohingya Muslims will have to leave. Apart from dealing with the Rohingyas already in the country, India is trying to make sure that more don't cross the border. Security has been beefed up and patrolling by the Assam Rifles intensified along the Mizoram-Arakan (Myanmar) border in the state's Lawngtlai district, in view of the possibility of Rohingya Muslim militants and refugees attempting to enter the state. Several meetings have been held by the Mizoram police, paramilitary forces and intelligence agencies of both the Central and state governments to review the security situation along the Myanmar border. The North East generally has not been too happy with the developments. 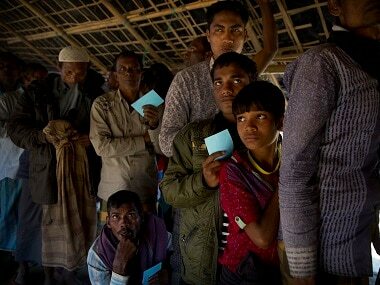 As Firstpost reported earlier, even though Assam doesn't share a border with Myanmar, it has a long and often porous border with Bangladesh, which has often been used by the refugees to enter India. "One can easily sneak into Assam if the border is not sealed," said Lurinjyoti Gogoi, general secretary of the All Assam Students Union. "The riverine borders with Bangladesh are open. The Centre has been assuring us that it will use technology to resolve this issue. Home Minister Rajnath Singh even assured us of using laser or satellite technologies to seal the border. But nothing of the sort has been initiated yet," he added. Other Northeastern states too are unsure on how to deal with the refugees. Tripura has housed four Rohingya Muslims — who caught entering Tripura illegally in June — in a protective home while Manipur has 25 Rohingyas housed in its jails, according to Hindustan Times. Their fate will most probably hinge on the Supreme Court's decision on what to do with the other 40,000 Rohingyas in the country. The Wire reported that at the informal interactive dialogue of the fact-finding mission on Myanmar at the United Nations Human Rights Council, India publicly admitted that the “large outflow of people” of Rohingya people has taken place after “security operations” by Myanmar military following a terrorist attack in Rakhine state. India’s permanent representative to the UN Rajiv K Chander noted that that the violence was “triggered” by “terrorist attacks”. After this he — crucially — added that "subsequent operations by the Myanmar security forces in the State resulted in a large outflow of people." This statement goes beyond India's earlier nuanced stance on the issue.